The New York Times is reporting that Google will sell its Mobility unit to Lenovo for $3 billion. Details are thin, but the Times says a deal should be announced shortly. For a refresher, Google bought Motorola Mobility back in 2011 for $12.5 billion. Motorola Mobility is the part of Motorola that includes handset technology that was spun off. 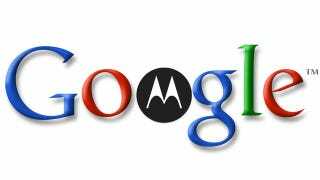 Google bought it and rebranded it as Motorola: a Google company. Update: Lenovo is hosting a video press conference here at 5:30 EST, which is a pretty strong indication that this crazy rumor is actually true. Whoa. Update 2: The release just went out—Google is actually selling Motorola.